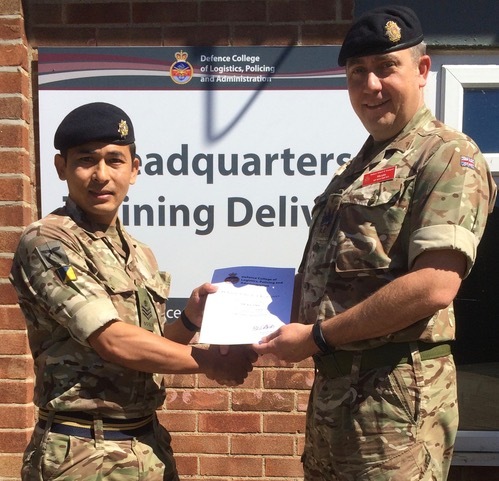 Congratulations to Staff Sergeant Shanchu Lama who has recently made Gurkha history by being the first Gurkha to ever complete the Master Driver (MD) Course. The MD course runs for six weeks and consists of several arduous modules, which stretch students in the academic and trade space. 23 personnel from the joint forces environment attended the course, with many them being Warrant Officers. The course requires a great deal of research-based activity with presentations and information notes being utilised as the main medium for conveying findings on topics ranging from Logistic Support Audit and Inspection (LSA&I) to vehicle recognition and capabilities. The MD’s main role is to carry out LSA&I for all units within a Brigade and grade them in accordance with current policy and legislation. On one of the final course elements, Exercise TRYMORE, students are required to fulfil the role of an MD at Brigade level, placed under considerable pressure by the Directing Staff and challenged at every turn.